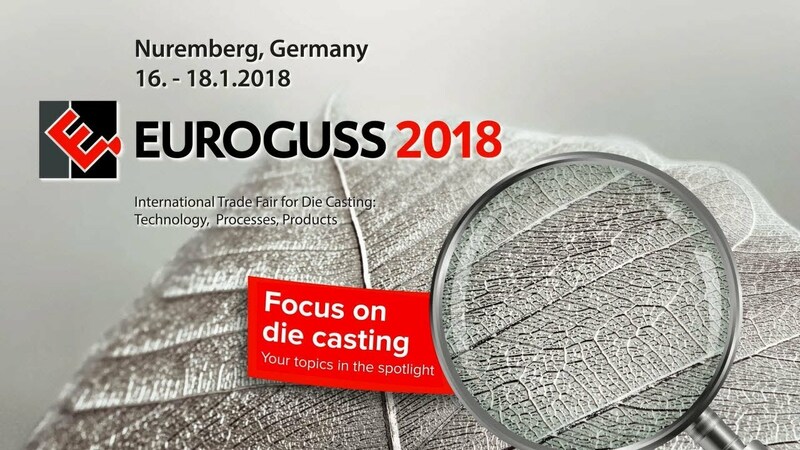 The EUROGUSS 2018 closed on 18 January 2018 with a new visitor record, therefore making it the largest EUROGUSS in its history. The trade fair for die-casting attracted 15,354 national and international trade visitors (2016: 12,032 visitors) to the exhibition site in Nuremberg, to inform themselves about technology, processes and products on the foundry and foundry equippers’ stands. The supporting programm with the 18th International Die Casting Congress, the special show "Forschung, die Wissen schaf(f)t" (Research for Knowledge) and the Pavilion Oberflächentechnik (Surface Technology) were also this year a perfect addition to the EUROGUSS. You’ll find more impressions in the EUROGUSS Newsroom.